Kompakt – 200 Records, Ostgut Ton, and more! – Chain D.L.K. Kompakt – 200 Records, Ostgut Ton, and more! 200 Records has been releasing records for only 2 years with a total of ten vinyl releases and their first CD is available today. It’s a selection of tracks from the past 2 years, but don’t let their age fool you, 200 Records has put together a compilation that a ten-year-old label could hope for. The CD is already receiving excellent reviews, and features tracks from Sarah Goldfarb, Soukie & Windish, Blackisbeautiful, and more. 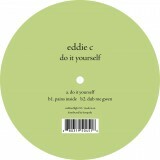 “Do It Yourself” from Eddie C is a three track nu-disco record as the first single cut from his forthcoming album. 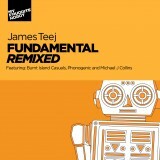 My Favorite Robot all-star James Teej’s Fundamental Ep gets remixed by Redux, Michael J. Collins, and more. 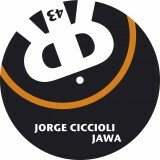 Jorge Ciccioli delivers some techno on Rygular with “Jawa” and includes a remix by Tim Xavier. Time To Get Ill, the new New York based label run by Pier Bucci and Crazy Larry sees its debut release today and they are off to a great start with “Juneau”. The hypnotic and melodic title track alone is enough to pick up this Ep, check it out! “Lovin’ ” is the second single release from the upcoming “Alex and the Grizzly” album and features Alex Barck on the vocals together with Lois Longerling. Detroit native and Spectral’s A&R manager, Ryan Elliot presents his first release for the techno powerhouse Ostgut Ton. “Rocksteady” is a perfect addition to their already stellar collection of Techno. Both tracks are led by their bass lines and “Steadyrockin” has a warm piano riff that creates a wonderful contrast. 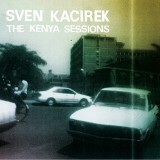 “The Kenya Sessions” on Pingipung comes from Sven Kacirek, their “experimental drummer and electronic producer” and is produced with actual vocals and drumming recorded in Kenya combined with Sven’s overdubs. The finished product is beautiful as well as interesting. Sven and some of the Kenyan musicians will bring this idea to international stages later this year! 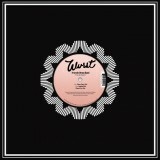 John Selway and Elliot “Ulysses” Taub return to Wurst as Neurotic Drum Band after more than a year with “U Got Me Dancin”. We are more than excited to introduce Rainbow Arabia’s first single from their forthcoming full length “Boys And Diamonds”. 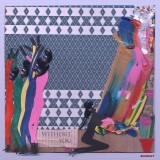 “Without You” explores a mix of indie pop and dance music with Eastern-influenced drums and synthesizers. Danny and Tiffany Preston have created two driving songs, rich with emotion and feeling. The massive congos move the song forward, while Tiffany’s vocals shine through as though the two were performing right in front of you. We are already running low on copies of this limited edition 7″, hurry! 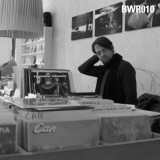 Kompakt welcomes Daniel Maloso to our artist roster! The Comeme member has previously released tracks with label mates Rebolledo and Matias Aguayo and will release a solo Ep next month! Read more about Daniel here. Freude Am Tanzen Podcast 11 mixed by Juno 6 is available here for download, and the winners for the Pop Ambient 2011 contest have been announced. Have a great weekend! 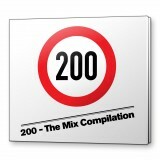 After 2 years and 10 releases 200 Records releases their first CD – a mix compilation with 11 tracks. Eddie C is one of the best new comers of the Nu Disco scene. Here’s the 1st single cut from his debut album. James Teej’s superb Fundamental EP gets the remix treatment from some of the hottest producers around. Jorge Ciccioli likes it the minimal way. Clicking but pushing with a very nice remix by Tim Xavier. Pier Bucci and Crazy Larry are the first to release on the new label from New York called “Time to get ill”. This record is simply fantastic from the start to the end. One of the best House records we’ve heart recently. 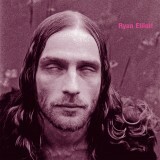 On his debut for Ostgut Ryan Elliot show off his love for bassline-led, straight forward club tools. By mixing the roots of Kenya with the western modernity this album became an advanced type of world music. John Selway and Elliot “Ulysses” Taub are back with shimmering pianos gliding over a tough rhythm section. Catchy ear-candies that combine Indie-Dance music with elements of world music. Comes on a limited edition 7″. Listen: Shumi on Buzzin Fly Radio! Street Sounds – preview and order “R&B Street Anthems” Steinklang Industries – Collector’s Boxsets and soldout Special-Editions!